While some focus on New York or Silicon Valley, entrepreneurship is thriving throughout the Philadelphia Region, according to Mike Krupit. We want to encourage and support entrepreneurs throughout the region, and partner with others like us who are committed to helping these entrepreneurs. The entrepreneurial ecosystem in the Philadelphia region is gaining momentum despite the belief by some that pastures are greener in places like New York or Silicon Valley, according to Mike Krupit, head of Novotorium, a suburban Philadelphia business incubator. Based on this assessment of the entrepreneurial ecosystem, Novotorium is committed to supporting entrepreneurs with increased sponsorship of regional events for entrepreneurs along with its regular programs designed to help emerging businesses, Krupit said. In addition to these programs, Novotorium continues to grow and offers its incubation for emerging technology businesses, business acceleration groups and other programs to help entrepreneurs be more successful. Novotorium’s next public class, “Data or Dartboards? Pricing Your Products to Win in the Marketplace,” will be held from be held from 6:00 p.m. to 8:00 p.m., Wednesday, March 28. This class will help entrepreneurs learn how startups can use data gathered from clients, prospects and competitors to develop an effective product pricing approach. Led by market researcher and strategist Steve Levine, this program is free but registration is required. More information on the class may be found on the Novotorium Website. Novotorium works with each entrepreneur accepted into its incubation program to establish individualized goals to be achieved during the first three months. Novotorium’s in-house team and network of entrepreneurs and advisors will then develop an individualized program to help each business accomplish its goals. At the conclusion of the first three months, Novotorium will invest in businesses where mutually desired. Novotorium does not charge fees or require equity from entrepreneurs for participation in the incubation program. 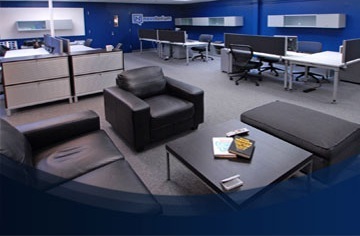 In addition to the individualized approach that is created for each entrepreneur, Novotorium offers entrepreneurs in the incubation program the opportunity to operate in a collaborative, open-innovation environment along with other entrepreneurs who may be experiencing some of the same challenges. Synergy among entrepreneurs is a key part of the program, according to Krupit. Novotorium’s business acceleration groups bring together small clusters of entrepreneurs and young businesses (about 8-10 in each group) to participate in a condensed incubation program for two days every month. The two days are spent as would any incubation – mentoring, classes, partner office hours, and collaboration. The goal is to give the companies a boost to help keep them moving forward. Groups remain consistent to allow members to build lasting relationships.